The first mention of CC in Belarus was the publication of the game between the towns of Vitebsk and Tver (Russia) in the Russian “Chess Messenger” of 1914, which finished in a draw. During the 1920s and 1930s, the newspaper “Star” organised some tournaments, and national masters V. Silich and A. Manevich played successfully in USSR competitions. The CC Commission was founded in 1959 and organised, under the initiative of well-known master Alexey P. Sokolsky, the first CC Championship of the Belorussian SSR (1961-65, Preliminaries and Final). For the next “Soviet” period (1961-91) Belorussian players took part in individual and team competitions of the USSR, sometimes in international tournaments including World Cups, Semi-finals of World Championships, and Master Class tournaments. 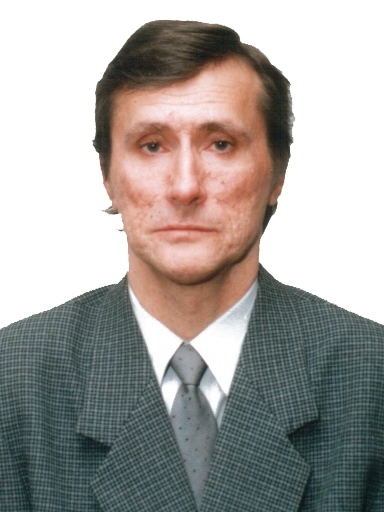 The principal achievements were the 2nd-5th place of Jakov I. Kamenetsky in the 7th European Championship (1974), the first place of Anatoly P. Voitsekh in the 11th Championship of the USSR (1975), the 4th place of the Byelorussian team in the 4th USSR Team Championship (after Russia, Moscow and Leningrad, in 1977) and the first place of Dmitry V. Lybin in the 7th (and last!) Championship of the USSR Central Chess Club (1991-93). Jakov Kamenetsky and A. Belousenko were successful as commission leaders and organisers of teams and competitions. In 1992 in Byelorussia the Belorussian Committee of Correspondence Competitions (BCCC) has been organized. It has been in this time spent ten championships of Belarus on correspondence. Since the tenth championship of competition began to pass on web server ICCF. After some inactive “post-soviet” years, Vitaly E. Kornilovich (winner of the last Belorussian SSR Championship) headed the commission in 1995. On this same year the BCCC affiliated to ICCF as an effective member, acting intensively despite some difficult circumstances. During 1995-1999, three Belorussian championships took place (Preliminaries and Finals); the teams began friendly matches with Germany, Argentina, Uruguay, England, and France. The national team took part in its first Olympiad Preliminary (XIII). Now the BCCC includes 1x GM D. Lybin, 1xSIM Mikhail Shablinsky and 7x IMs. In 2003 GM Dmitry Lybin, professional musician and talented composer from Belarus, composed the ICCF anthem. It was approved by the ICCF Congress 2006 in Dresden, Germany. More details at separate page about the anthem. The best result for these years – team of Belarus got promotion to the 8th European Team Championship final from semifinal section 3. In 2010 the international tournament Belarus-Blue Lakes has been organized.